To be screened are short eXperimental films from some of the renowned eXperimental filmmakers in the Philippines such as Rox Lee, Miko Revereza, Melchor Bacani, and more. 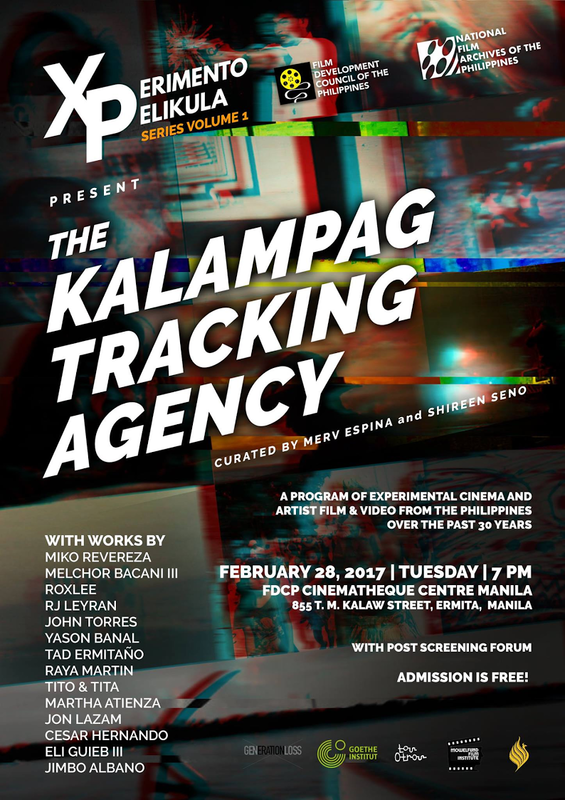 There will also be a post-screening forum with the experimental filmmakers to give us a glimpse of the historical success of experimental films in the Philippines. ADMISSION IS FREE!